NRI Bonds (Second Series —7 years) could be gifted to any individual of Indian nationality or origin (resident or non-resident), or to a charitable trust recognised under the Income Tax Act. In Februaiy 1992 the SBI issued India Development Bonds. These enjoyed total exemption on the interest income and they could be gifted without any gift tax liability. Further, they enjoyed total freedom from enquiry as to the source of the money under all direct tax laws and FERA. With effect from assessment year 1993.94, interest on foreign currency deposits in banks in India, allowed now by the RBI, are fully exempt from income tax under Section 10(1 5)(iv)(fa) only in the case of non- residents and not-ordinarily resident individuals and Hindu Undivided Families. Thus, residents will not get this exemption. The SBI offered Resurgent India Bonds to NRIs from August 5, 1998 upto August 24, 1998. These bonds were issued to individual NRIs, OCBs & banks on behalf of NRIs & OCBs. Their tenure was 5 years. The currencies were US Dollar, Pond Sterling & Deutsche Mark. Interest rate was 7.75% p.a. on USD, 8% p.a on GBP & 6.25% p.a. on DEM. Payment of interest is half yearly or cumulative. Principal and interest is fully repatriable to NRIs. Interest is exempt from I.T. & the Bonds are exempt from W.T. These benefits are also available to transferee and donee holders. These are transferable between NR1s/OCBs by endorsement and delivery. Premature encashment is permitted only in non-repatriable rupees without penalty. Loans in rupees to holders and third parties was available against collateral security of the Bonds. The collection was US $ 4.16 billions. Amount received on maturity of insurance policy is exempt. The Finance Act, 2003 w.e.f. the A.Y. 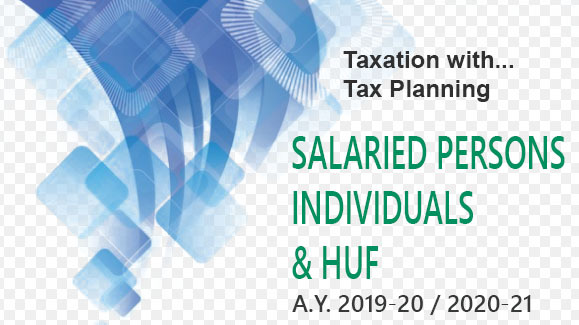 2004-2005 provides that exemption under Section 10(1 OD) shall not be allowed on any sum received under n insurance policy issued on or after 1-4-2003 in respect of which the premium payable for any of the years during the term of the policy exceeds 20% of the actual capital sum assured. However, on death before maturity of the policy these provisions will not apply. On and from the financial year 2003-04 (i.e., A.Y. 2004-2005) a special exemption under Section 1 OBA is available to all those exporters who are located in free trade zone or who are working in an undertaking established as a 100% export-oriented undertaking in respect of hand made articles or things of artistic value which requires the use of wood as the main raw material. Such undertakings should employ 20 or more workers. The deduction would not be allowed from the assessment year beginning on the first day of April, 2010.